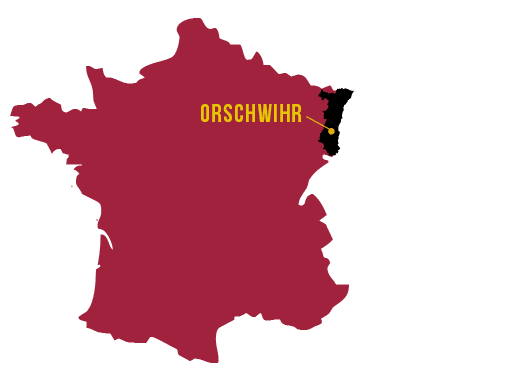 In 1698, Balthazar Albrecht settled in Orschwihr and worked the land with tenacity and passion to build the reputation and authentic character of Alsace wines produced on the rich and renowned terroirs of the Orschwihr vineyard. This passion for the soil, the vines and their fruits—Alsace wines and crémants (quality sparkling wines)—has been nurtured for over 300 years with respect for the traditions handed down through generations. Today, we are the heirs of this ancestral wine-making expertise. Our wine growers in Orschwihr continue to cultivate this rich and generous land. Our wine experts and our team transform these sun-soaked grapes into wine with passion and respect, to ensure that the authentic character of Lucien Albrecht Alsace Wines and Crémants has a safe future in our hands. Lucien Albrecht is proud to celebrate this year an anniversary dear to its heart: 40 years of the Appellation d’Origine Contrôlée Crémant d’Alsace. As a pioneer in the Crémant d’Alsace, which it began producing in 1971, and thanks to its perseverance and successful trials and tests, it is one of three Alsatian firms to have launched the Crémant d’Alsace. On August 24, 1976 the AOC was made official. In 2016, our celebration of those 40 years centers on our range of Crémant d’Alsace Lucien Albrecht. The vast majority of the grapes are harvested by hand, and the whole bunches of grapes are pressed in pneumatic wine presses. This is followed by natural clarification by sedimentation. The wines are then left to age in stainless steel tanks, oak barrels or casks, depending on the grape varieties, to guarantee the character, finesse and balance of our wines. The healthiness, maturity and quality of the grapes that we receive bear witness to all of the work performed by the wine growers. To safeguard all of the efforts made in the vineyards and maintain the quality potential of the grape harvest, the Maison Lucien Albrecht continues to innovate and now favours the use of small containers in order to maintain the integrity of the fruit which arrives undamaged in our wine presses. The Maison Lucien Albrecht's historical roots in the Orschwihr area are confirmed by numerous documents describing the significant wine-related activity from the start of the 8th century. Orschwihr benefits from hillsides with a favourable aspect, especially at Bollenberg and Pfingstberg. This wine-growing estate expands over the years, as reflected by the abundance of 16th and 18th century wine grower's residences, especially in the lower part of the village. 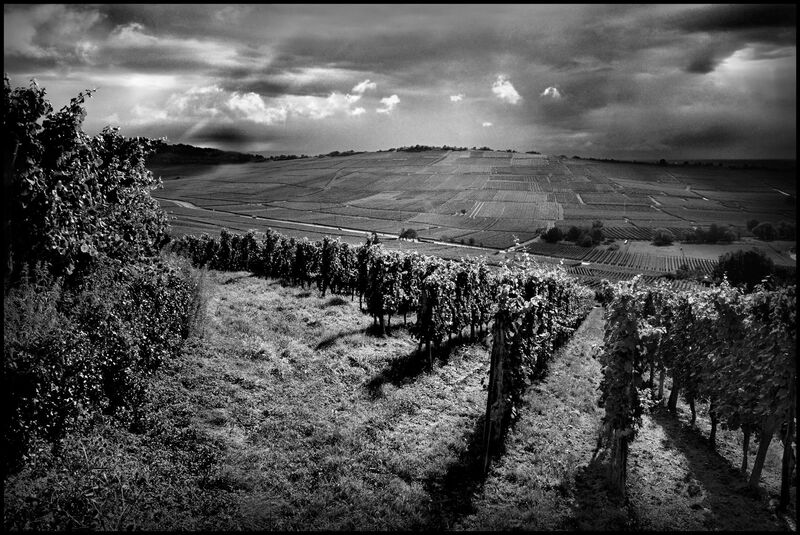 Eight generations continue to work the soils of this unique terroir with the same tenacity and passion, creating the reputation and authentic character of Alsace wines which are enjoyed and renowned worldwide. Lucien Albrecht also pioneers the emergence of Crémants d’Alsace. The company begins its first tests of these sparkling wines in 1971. Thanks to the perseverance of Lucien Albrecht and other producers, this traditional method is officially recognised and awarded the prestigious AOC Crémant d’Alsace designation of origin in 1976. 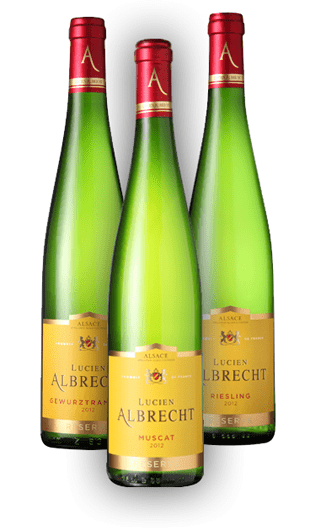 In 2012, the Maison Lucien Albrecht, in its role as the heir to this iconic style and a key historical contributor to the roots of Orschwihr wine growing, revives this name with a view to perpetuating this well-loved taste profile on these types of terroirs. Discover our wines and Crémants d'Alsace in the Caveau Wolfberger, 28 rue du Printemps in Orschwihr (France).